1. Never allow cancellation fees. Make sure to read the fine print on the credit card processing contract – it may sometimes hide a “cancellation fee” of at least $250 to several thousand dollars. This fee is a way of guaranteeing loyalty to the processor, regardless of customer satisfaction. The good news is that getting rid of this fee should not be a problem: most salespeople have the authority to waive it. To avoid this issue, talk to the salesperson and make sure the fee is waived in writing either in the contract or as an amendment. As a startup, making sure to have the “no cancellation fee” clause is a great hedge in case anything goes wrong. The bulk of credit card processing fees go to Visa and Mastercard – these are called “interchange” and are set in stone. Interchange Plus pricing is the fairest form of pricing, and is comprised of interchange plus a constant processor mark-up (the fees processors charge for their services). With Interchange Plus pricing, there is never a question of how much the processor will charge per transaction since those costs are fixed. Having this structure ensures there are no tricky fees or hidden costs, unlike tiered pricing structures. 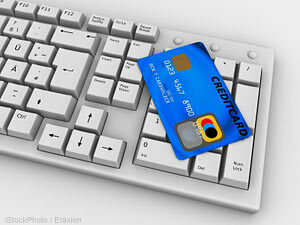 Research shows that the best deal can be found by comparison shopping at least five credit card processors. However, make sure to compare on an apples-to-apples basis, and be sure each processor knows that you are actively shopping. You can easily make your bids more competitive by leveraging the power of comparison. 4. Don’t forget the gateway. 5. Consider recurring billing options. A lot of internet companies use a subscription-based billing model and are lost when it comes to how to integrate all the pieces of the payment acceptance puzzle. Although you may not necessarily need a recurring payment solution, it will make your life infinitely easier if you have one. Companies such as Chargify and Recurly make recurring billing flexible, easy to adjust, and just plain easy. Instead of hitting your head against a brick wall trying to figure out a software solution to recurring billing, do yourself a favour and use a service that will automate it.